Unmanned aerial vehicle technology has advanced to the point that an RTK-equipped drone with elevation accuracy of plus or minus five centimetres can find the best route for water across a field. Prairie companies are working together to make every acre pay its way. One topographic-capable un-manned drone is a fixed wing eBee RTK, retailing for about $100,000, including the ground station. Green Aero Tech in Carman, Man., runs a fleet of four eBee RTKs, says chief executive officer Scott Hiebert. With a plethora of high quality drones costing a fraction of that amount, why would he incur such a major expense for his four-year-old company? is under control, it just doesn’t matter,’ ” Hiebert said. “So we went looking for a UAV that gives survey-grade elevation data. We spent about $250,000 buying and testing drones that claimed to give elevation data good enough for a drainage plan. He said many drones are good for field scouting, but they can’t do accurate elevation mapping. Hiebert settled on the eBee RTK. Each of the four units cost $80,000 plus another $20,000 for the base station. 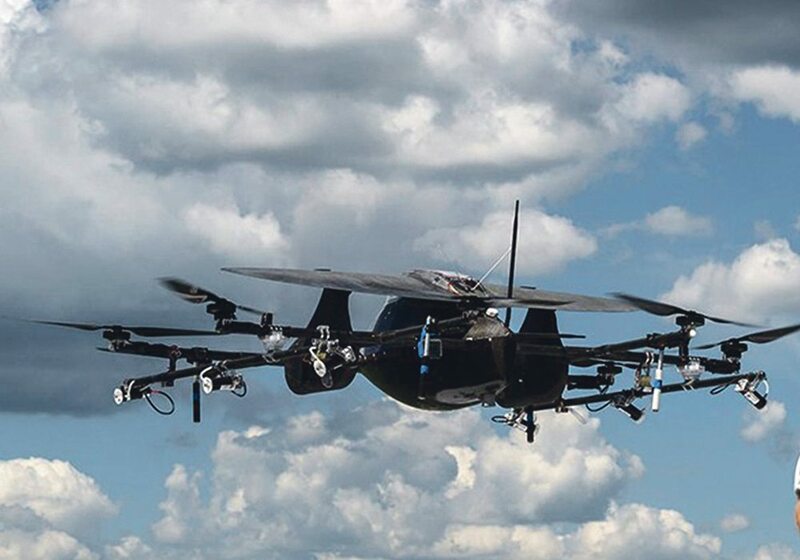 Green Arrow Tech runs a fleet of 14 units in total, but it uses its eBee RTK units 90 percent of the time. The other aircraft are used primarily for scouting. “We are not drones just for the sake of drones,” he said. “Our focus is on topographical accuracy. We invested in some really high tech equipment to deal primarily with drainage. To make a drainage plan, we need plus or minus five cm. We still deal with crop health, but we realize that crop health is so often related to drainage. “We were doing UAV drainage plans before we bought the eBee RTK drones, but it was time consuming. We’d have to set up at least 16 stations on a quarter section. Ten were ground control points, plus we had six more to check. It was a lot of work. Hiebert said gathering good elevation data was the first challenge. Next came problems with processing data and turning it into a plan that a drainage engineer could use. AgSky in Swan River, Man., had solved the data processing problem, but it needed cash and good drones to move forward. “So we bought AgSky about a year ago,” Hiebert said. 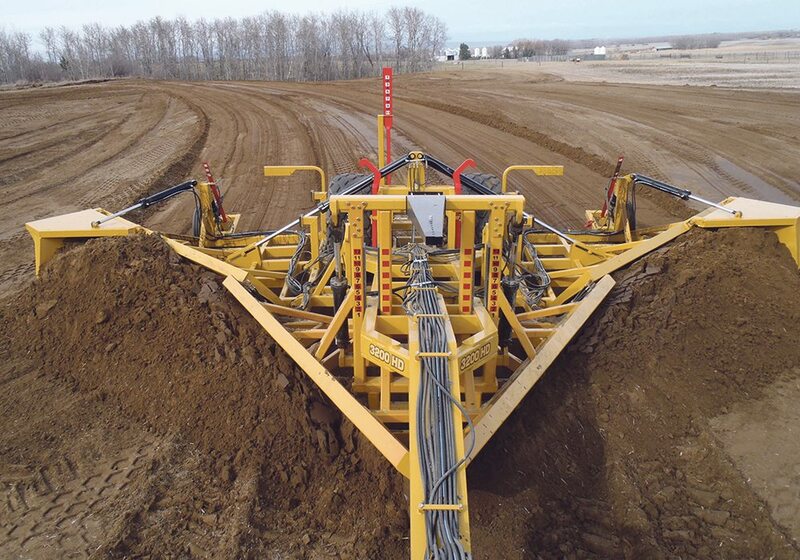 In the past year, Green Aero Tech has entered into partnerships with Farmers Edge, NextGen Drainage, Enns Brothers John Deere in Manitoba and Western Sales John Deere in Saskatchewan. It developed an application program interface with the two John Deere dealers to ensure seamless integration with the existing software. It also developed an online portal so that farmers not connected to either Deere or Farmers Edge can use their RTK aerial services. “We have three programmers on staff. Drone technology is evolving so fast that we have one team member dedicated totally to research and development,” he said. Hiebert said the cost to clients range from $4 to $10 per acre, depending on their requirements. He emphasizes that Green Aero Tech produces a drainage plan rather than a drainage prescription map. 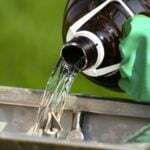 The prescription map must be produced by a qualified drainage contractor, he added, and Green Aero Tech is a data provider rather than a drainage engineering company. “We do a lot more than topographical mapping,” he said. The company has offices in Cochrane Alta., Swift Current, Sask., Swan River, Man. and North Dakota as well as its headquarters in Carman. In August, Green Aero Tech gained access to the proprietary MyJohnDeere management system of Enns Brothers and Western Sales, two of Canada’s largest John Deere dealerships. “We’re the first drone service provider in North America allowed to push data into the MyJohnDeere system,” Hiebert said. The deal gives Deere customers access to drone data that they can use to make land and water management decisions, said Mitch Rezansoff, integrated solutions manager at Enns Brothers. 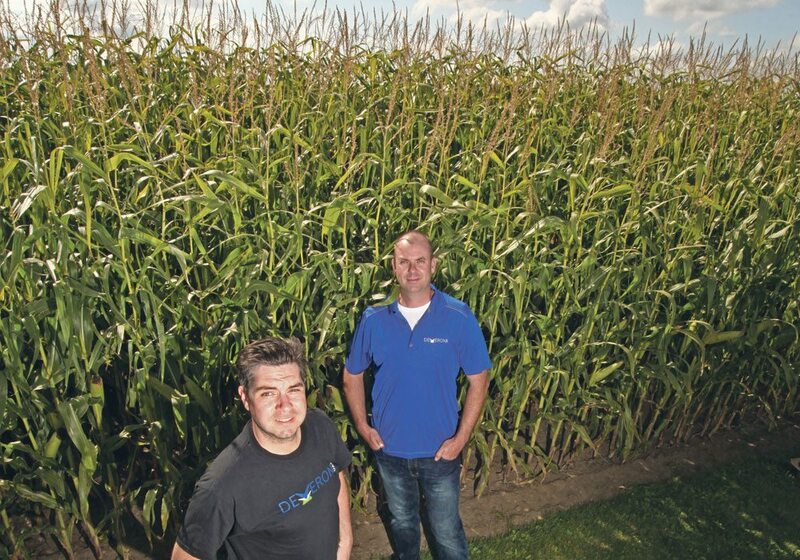 “Initially we teamed up with Green Aero Tech for in-season crop health NIR and NDVI imagery, but when they got topography, we signed on for that, too,” Rezansoff said. 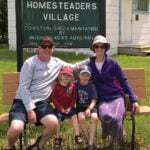 “We (Enns Brothers) cover half the acres in Manitoba. We had been using local drone service providers, but that didn’t give us the consistency we needed from one area to the next. Green Aero gave us reliably consistent imagery. Rezansoff said the topographical data can feed into the Deere Smart Water program. 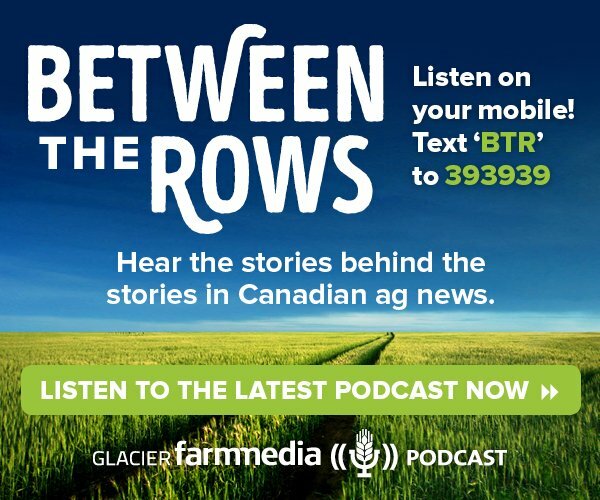 “We’re starting to see more operators looking at a drainage strategy over the whole farm, rather than a field by field approach,” Rezansoff said. He said having that information at hand makes the permit process go a lot more smoothly. You can show the municipality or the drainage engineers where there are problems with ditches, culverts, surface drains that have silted in and other hidden problems that can’t be seen on the ground. Rezansoff said Deere started loosening its grip on proprietary software about five years ago. “Actually, John Deere is almost following the Apple model where we have a platform and we look for quality partners who do things very well,” he said. 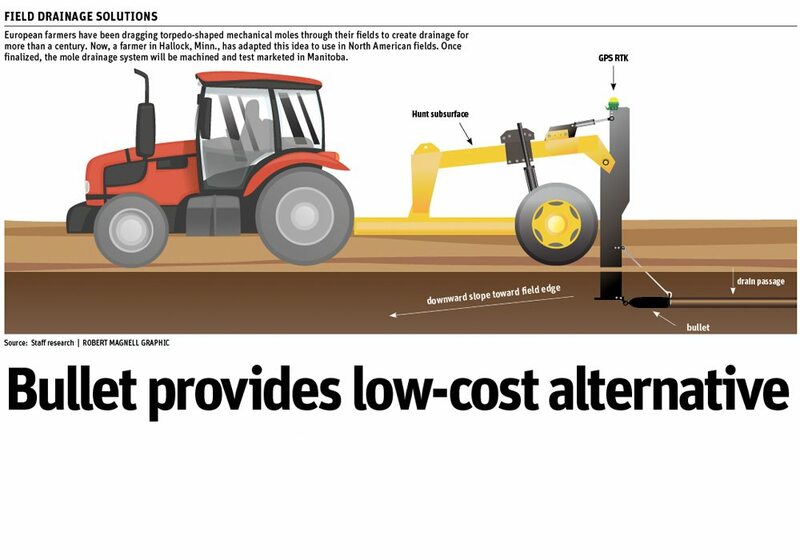 “They actually now encourage third parties to develop solutions that can integrate into the John Deere software. “John Deere actually hosts an annual conference where they bring in other companies to show these third party developers how they can bring a new solution into the John Deere system. 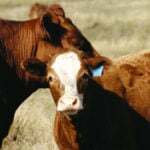 Rezansoff said farmers like the idea because it helps reduce the number of software systems and suppliers with which they have to deal. Fifty companies have integrated their solutions into the John Deere technology through Develop With Deere, including two other drone RTK providers, he added. Farmers Edge announced a strategic alliance with Green Aero Tech in July. The message from customers was loud and clear, said Todd Ormann of Farmers Edge: drainage was one of the underlying problems preventing maximum yield. 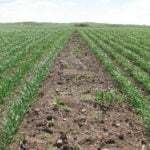 Excess water hinders seeding, spraying and harvest, affects crop health and often drowns out a crop completely. “We’ve had some wet years, so a lot more people are finally seeing the economic value of investing in water management,” he said. Farmers Edge has developed its own program called Drainage Manager, he added. 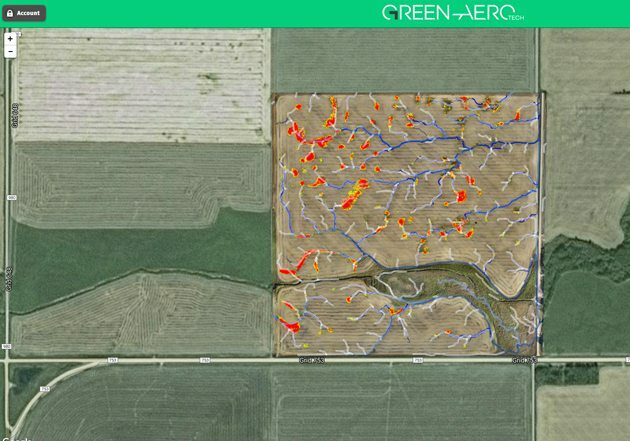 Ormann said Drainage Manager takes data from Green Aero Tech and integrates it into FarmCommand, which gives Farmers Edge customers high quality survey-grade topographic information in their own systems. They can now use that topographic information along with all the other maps that they already have in FarmCommand. He said drone imagery provides sharp images, fast processing times and close to real-time access to critical data when weather conditions and cloud cover prevent the use of satellite imagery. The Green Aero Tech data can be integrated with the Farmers Edge Precision Solutions package, including VRT, soil sampling and analysis, field-centric weather, in-field telematics and data transfer, high-resolution satellite imagery, field-centric data analytics and access to FarmCommand. NextGen Drainage, one of Western Canada’s fastest growing tile drainage companies, has partnered with Green Aero Tech to use drone aerial imagery in designing subterranean tile drainage systems. It’s all about efficiency, said NextGen CEO Brett Sheffield. A drone can accomplish in an hour what a survey crew accomplishes in a day. A survey-grade drone topographical map significantly reduces the time and manpower cost of plotting elevations in a field, he added. “NextGen chose to work with Green Aero Tech because they’re the leaders in aerial RTK imagery. Green Aero now does all our drone work. That’s really what’s allowed us to expand across Western Canada so rapidly,” Sheffield said.